The new design concept identifies the hallmark of the company, focusing the particular attention of UBI towards the emotional charge, both before and during the service. 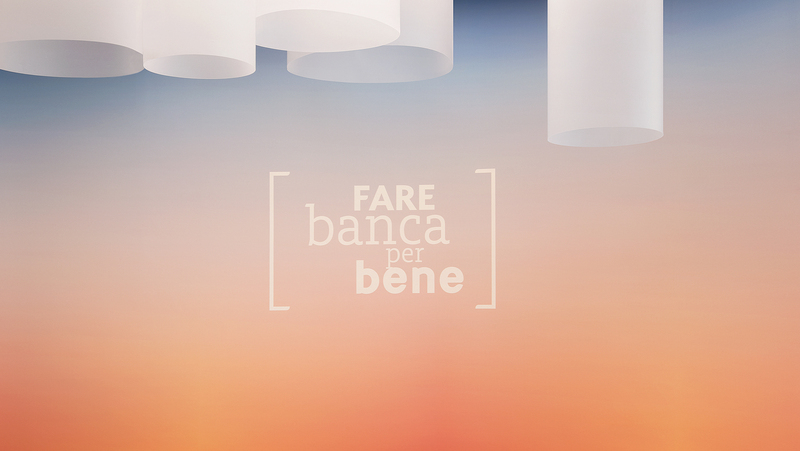 At the heart of it is the willingness to instill faithful UBI Banca position “Fare Banca per bene” – “doing bank properly”. 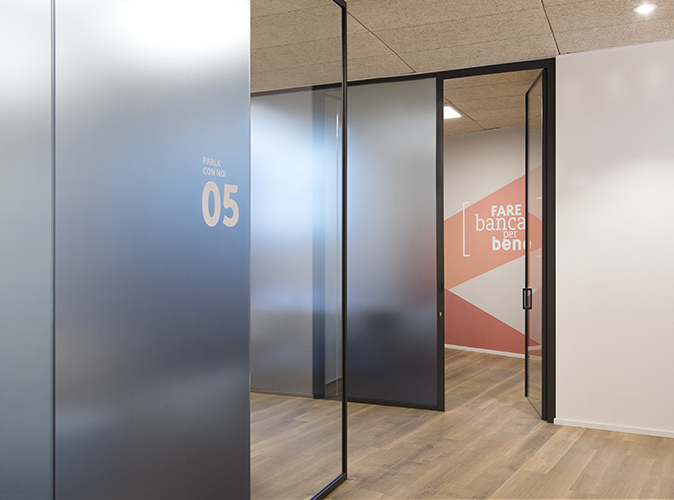 The objective is to create an “Emotional branch”, that is a place where clients’ needs and positive or negative sensation are understood and led towards a meaningful dialogue. This happens thanks to a direct involvement with the clients through the Welcome Area. Here, UBI Banca staff together with a welcome pad offer support to manage their requests, needs and help them to use self and advanced checkout. The support is helpful to discover digital services inside the educational area and to lead customers through different kind of consulting areas. 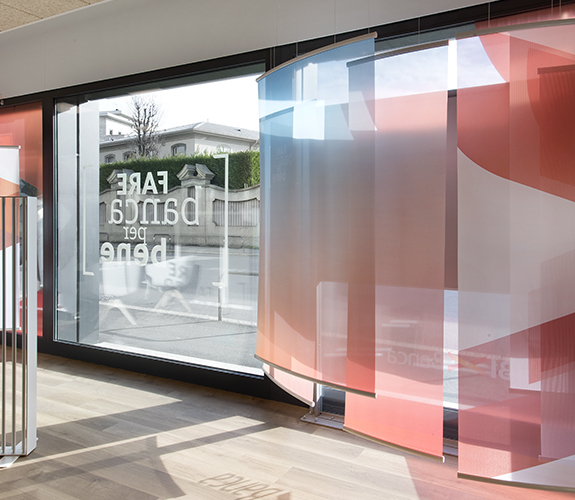 The color with shades carries out a chromo therapeutic role and guide people into the different functional areas of the branch; tactile materials contribute to the welcome experience together with the color, the light, the soft and smooth shapes. The emotional state of the client affects repurchase intention, mediates the satisfaction and the loyalty towards the brand, whatever it is. That’s what the choice to design an emotional branch focused on the analysis of feelings with which client arrives at the branch. The design is able to stimulate feelings, according to researches published on Now We Work, a book realized by Il Prisma about the design of space through the use of the five senses (Now We Work-Edizioni McGraw Hill). Thanks to the Experience Design, what is tangible interacts in a holistic way with what is intangible, as personal interaction, to realize a place where client’s desires and needs are at the heart. 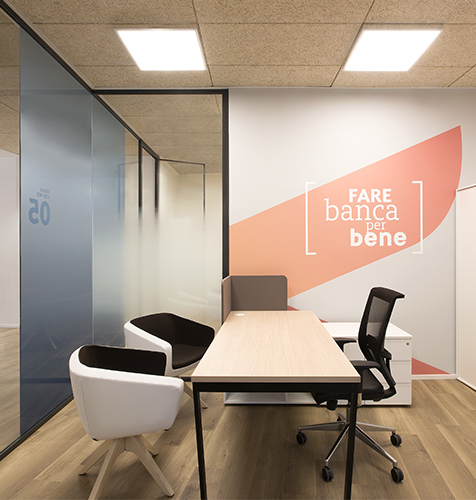 UBI Banca staff together with a welcome pad offer support to manage their requests and needs. Thanks to the Experience Design, what is tangible interacts in a holistic way with what is intangible, as personal interaction.